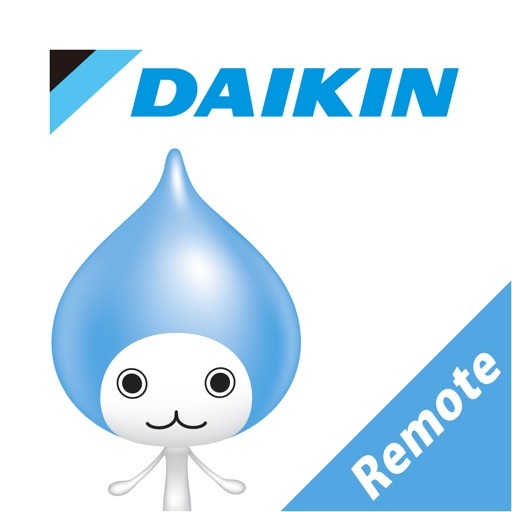 [Daikin Smart Remote Control] With this dedicated app, smartphones and tablet PCs are transformed into remote controllers for air conditioners and air purifiers. 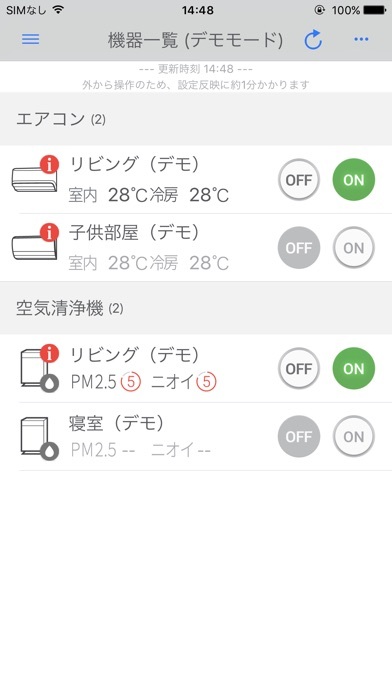 Users can remotely operate air conditioners and air purifiers at or away from home, and check the temperature and air quality of the room. *A broadband router and wireless LAN access point are also necessary. 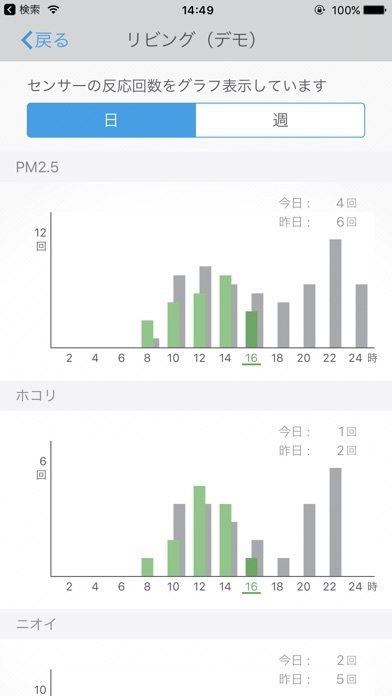 Users can designate on what day, at what time, and in what mode the unit will operate according to their lifestyle. 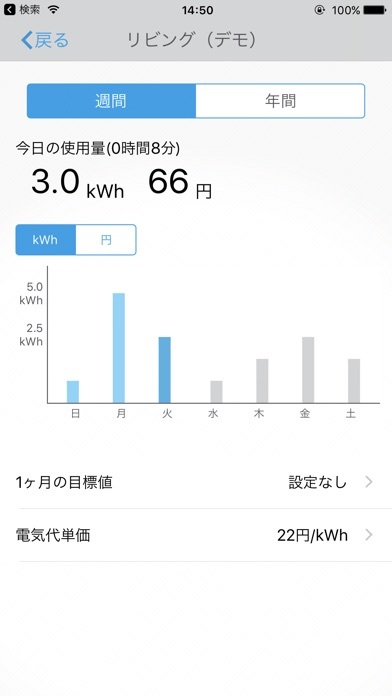 Users can check on worrisome energy consumption. 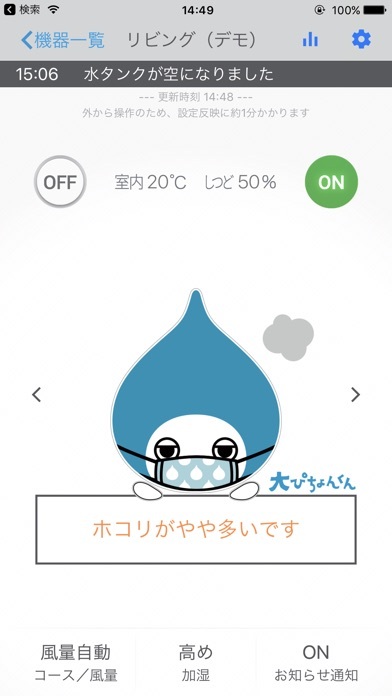 Users can check room air quality with a simple 6-level air notification system that includes cute Dai Pichon-kun animations. 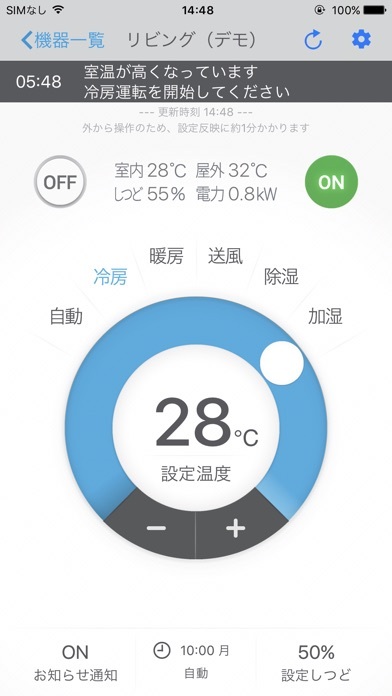 Users can check the temperature/humidity of the room and the temperature outside as detected by the air conditioner. 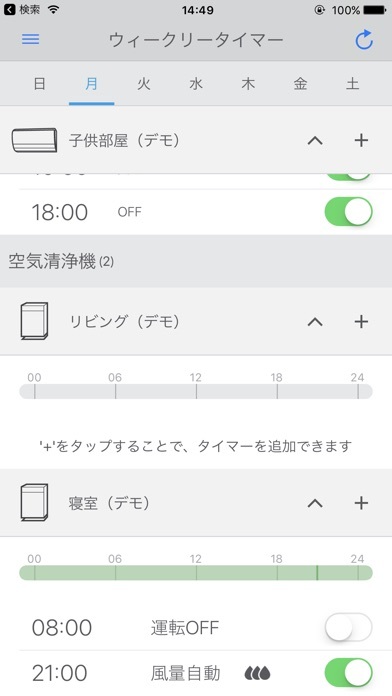 Users smartphones will also receive notifications for any abnormalities and if they have forgotten to turn off the unit. 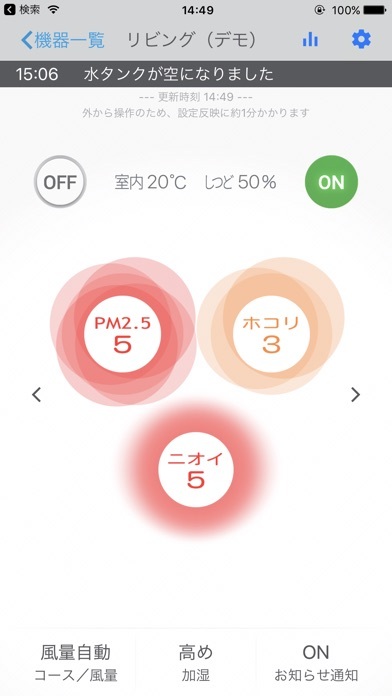 Users can check the temperature, humidity, dust volume, and odour intensity of the room as detected by the air purifier. Users smartphones will also receive notifications for any abnormalities and the water supply timing of the water tank. *Application is not usable in conditions of poor connectivity. *Use of this application is free of charge. *Downloading the application and accessing the server will incur separate communication fees. 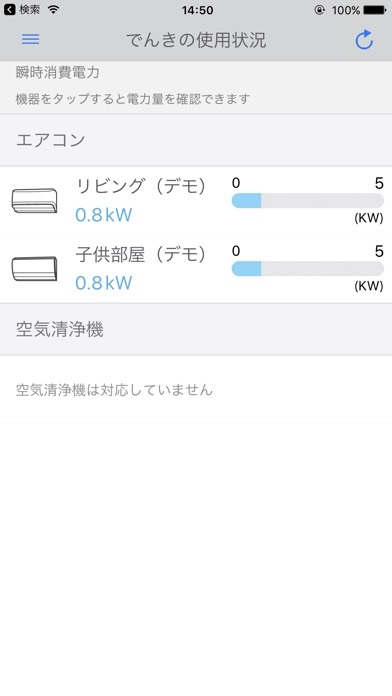 *The functions available in this application will vary depending on the model of LAN adapter to be used and the type of appliance to be connected.